TO SAVE THE KEY SHE MUST DIE. TO SAVE HER HE MUST ESCAPE. TO SAVE THE WORLD THEY MUST SACRIFICE EVERYTHING. Jelena has found acceptance and love with her new family, but war, a sweeping pestilence, and the death of her beloved leave her desolate. Unaware Ashinji still lives, she seeks comfort in the arms of a young soldier determined to marry her. 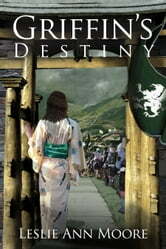 Knowing Jelena’s life is in peril, Ashinji continues his desperate trek homeward. Racing against time, and chased by murderous slave hunters, he and his companions are out-matched until Ashinji breaks the bonds preventing him from tapping his own extraordinary magical power. The award winning Griffin’s Daughter Trilogy concludes this epic tale. 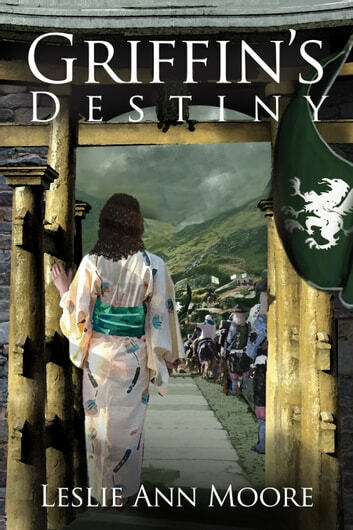 As the world teeters on the brink of destruction, Jelena and Ashinji face their fates and discover Griffin’s Destiny. This chronicle follows Jelena, a young girl in search of her heritage who finds more than she ever expected. Her journey takes her on an adventure of magic, danger, and most startling of all—true love. Will Jelena and Ashinji’s love be strong enough to stand against evil? Or will the ultimate sacrifice be required to save their world? Find out in this sweeping epic of the award winning Griffin’s Daughter Trilogy. The first book in the series, Griffin’s Daughter, won the Benjamin Franklin Award for Best First Fiction from the Independent Book Publishers Association.